Do you dread swatching? What about the agony of swatching in the round? Pure waste of precious knitting time, right? Not with this design! 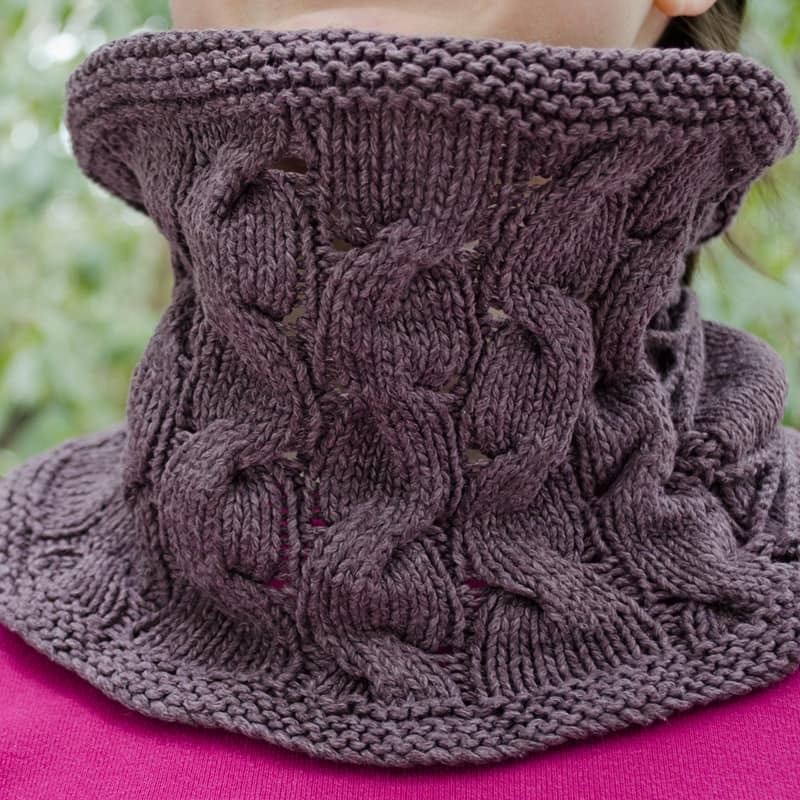 With the aim of upcycling, I designed this cowl from the prerequisite in the round swatch of an upcoming sweater design. 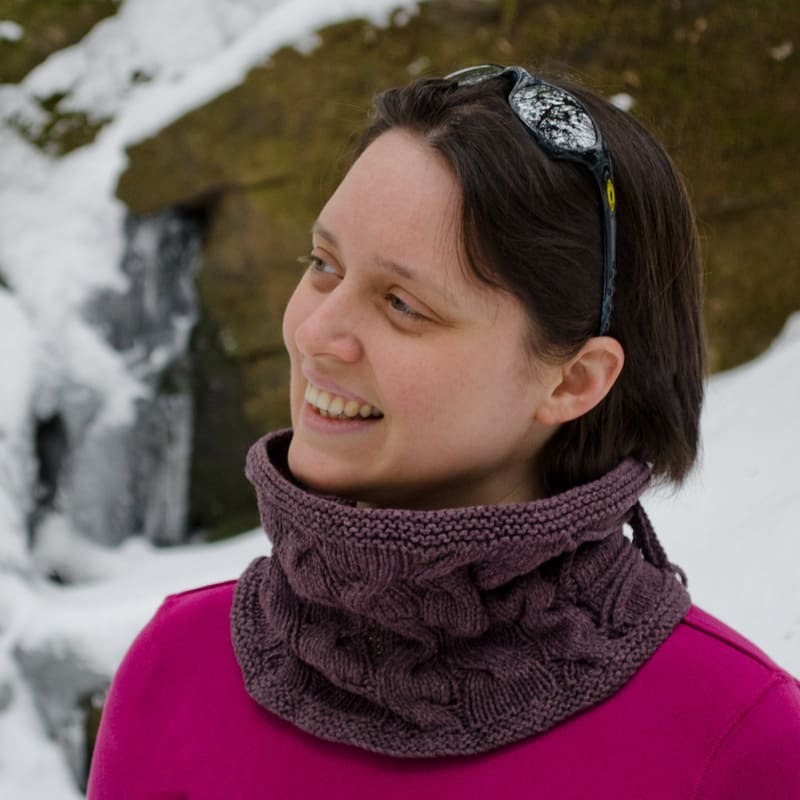 The large section of St st and Design Pattern enable accurate gauge gathering, while the unique tie transforms the swatch in the round to a unique wearable cowl! 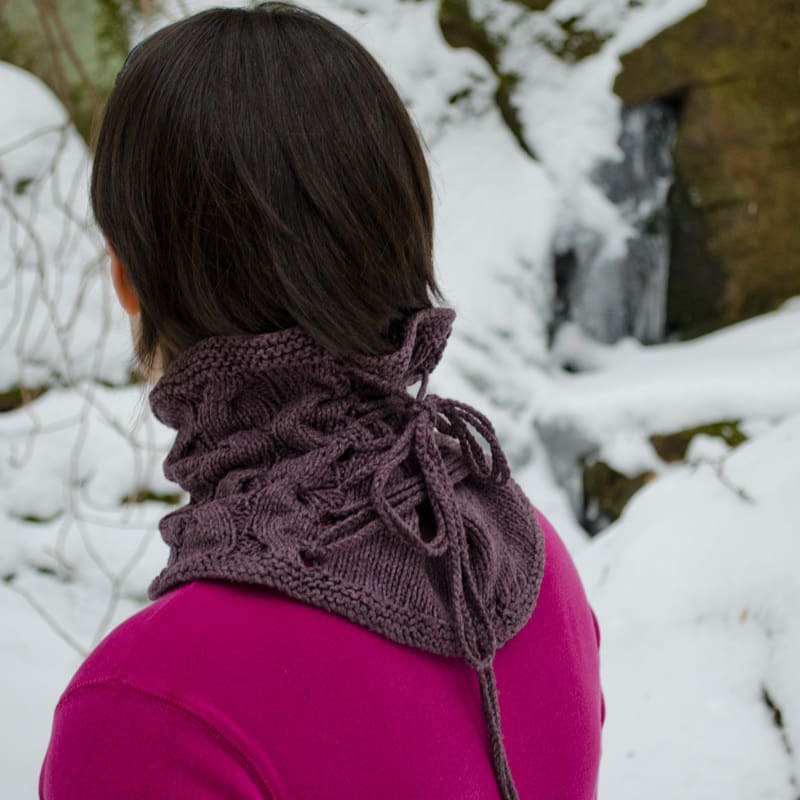 With transformative design, swatching need no longer be a drudgery, but rather a reason to exclaim “happy knitting”! 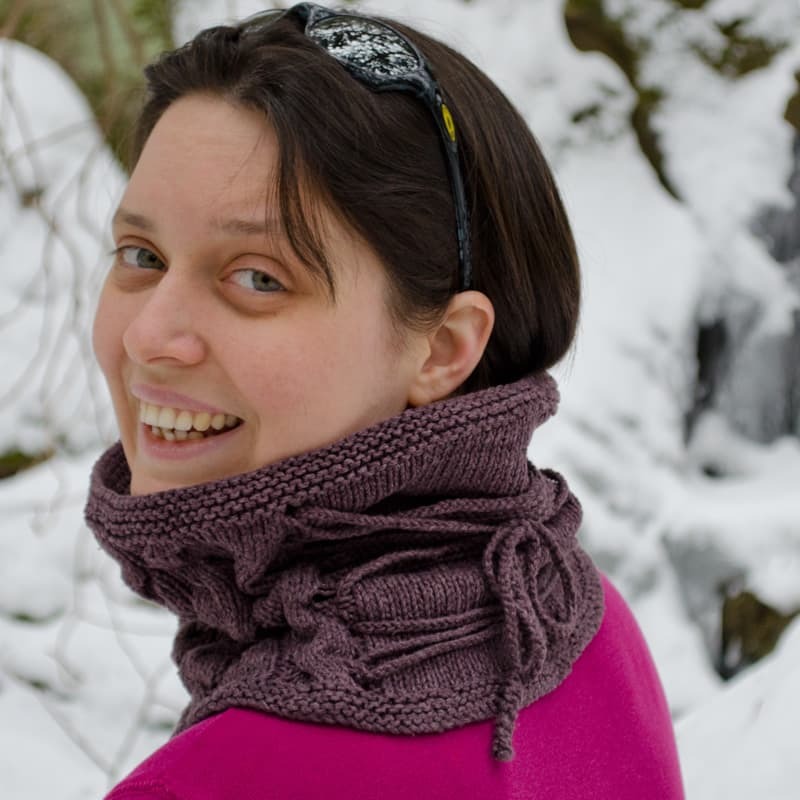 The tech edited and test knit pattern includes written directions and a chart. 24”/ 61cm around by 8”/ 20.5cm tall. Width is adjustable with I-cord tie up to 12”/ 30.5cm around. 20 sts and 30 rnds over 4”/ 10cm in Stockinette Stitch. Note: exact gauge is not critical to the design, but variations may impact size & yardage requirements. Swatch it! 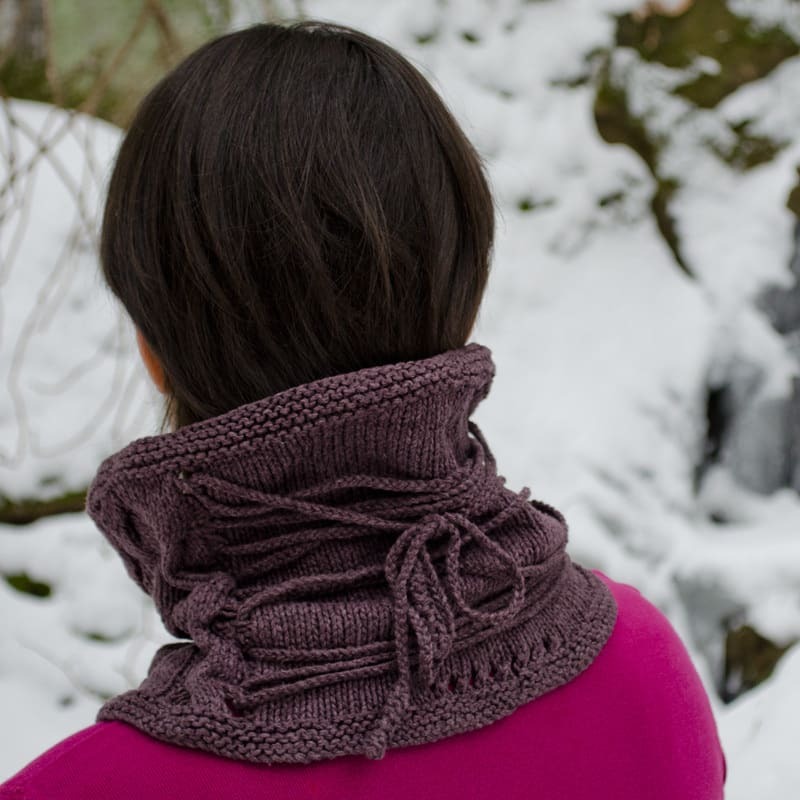 Whether you love the cowl in its own right or are trying the pattern as a swatch for the upcoming sweater release, “Swatchers Cowl” is as fun to knit as it is to wear.